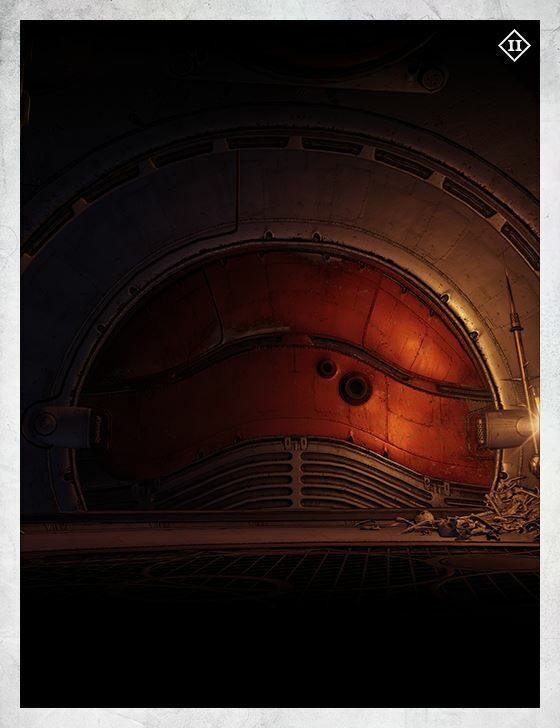 Variks the Loyal remembers an ancient time, and an ancient name: the House of Judgment, when grudges and status fights were worked out in a safe place. When the berserk and the vengeance-crazed were kept somewhere harmless, and there were fewer rivals to plot around. The old Fallen ways align perfectly with the Queen's agenda. With the House of Wolves in disarray, the Queen needs muscle in the Reef. Guardians go where the treasure and the glory are, and an arena of champions is a wonderful place to earn both. Guardians in the Reef deter threats to the Queen and give the Awoken a chance to learn about their power and subvert their loyalty to the Traveler. And if, as the Queen worries, the Nine are scheming against her, then she needs a good excuse to clear out some of the most dangerous prizes in the Prison of Elders. And the Prison of Elders is full of dangerous prizes. The Awoken have captured titanically dangerous specimens from everywhere in the inner solar system. These monstrous champions want to smash Guardian bone and Guardian alloy—and given the chance, they'll kill Guardians, rend their Ghosts, and snuff them out forever. Walk into the arena with a Fireteam you trust. And beware: the agents of the Nine are active in the Reef, and their curiosity is as limitless as it is inscrutable. Risk death. Win glory and signs of Her Majesty's favor. But always remember that you are being watched, and tested.